What's the difference between Present Perfect and Past Simple? I've known Julie for ten years (and I still know her). I knew Julie for ten years (but then she moved away and we lost touch). My brother has been to Mexico three times. My great-grandmother went to Mexico three times. I've lost my keys! (The result is that I can't get into my house now). I lost my keys yesterday. It was terrible! (Now there is no result. I got new keys yesterday). I've seen John this week. I saw John last week. We use the past simple for past events or actions which have no connection to the present. We use the present perfect for actions which started in the past and are still happening now OR for finished actions which have a connection to the present or a present consequence. We can't say: I've been to the museum yesterday. The right option is: I went to the museum yesterday. I'm glad to have you here! [Are you going / You are going] to Brazil again next year? It's raining so they [likely / probably] won't play the match today. My grandma is not sure she [is going / will be] able to visit us this summer. Our team [is playing / will play] a match at 10 o'clock this Sunday. Don't miss it! I won't be late tomorrow. I promise [I'll go / I'm going] to bed early tonight. Her leg is broken, I'm afraid. She won't [be able to / can] walk for a few weeks. The bus [leaves / leaving] for London at eight o'clock in the morning. Are you [likely / probable] to want anything to eat when you come home? [It will probably / Probably it will] rain later, so take an umbrella with you. Complete the sentences with the correct future form of the verbs in brackets. Use short forms where possible. More than one answer is sometimes possible. Grammar point 2: Future continuous and future perfect. Christina will have [finishing / finished] studying by this time next year. We'll [be / have] finished the project by lunchtime. Do you think we'll [have had / be having] holidays on the Moon in 20 years' time? How many tourists do you think will have [travelled / travelling] to your country by the end of this year? I can't have a guitar lesson then. I'll [have had / be having] an English lesson. Will you [be completely finishing / have completely finished] if I come to your house at seven? Where [you'll / will you] be staying when you go to Italy? [We'll be / We'll have] travelling to Argentina this time next week. Will you have [cut / cutting] the grass by the weekend? Don't worry. The bad weather will have [ending / ended] by the time we get there. 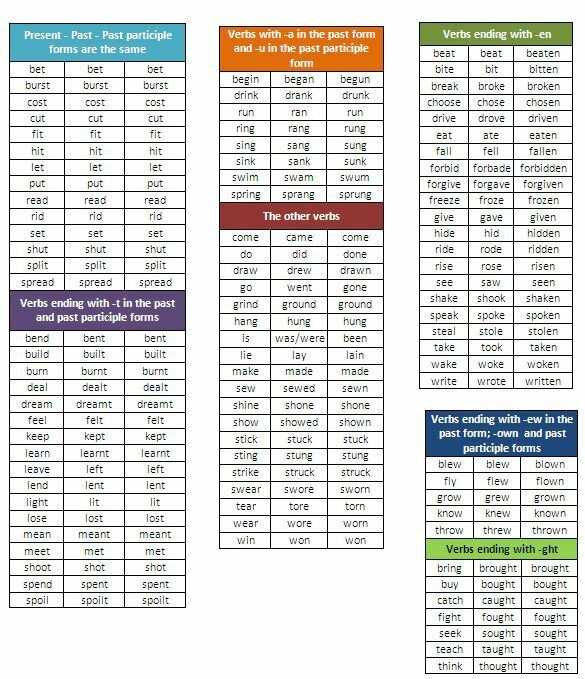 the verbs in brackets. Use short forms where possible. More than one answer is sometimes possible. I can't remember the name of the café [that / where] we first met. Peter Fleming, [who / whose] brother wrote the James Bond stories, was famous as an adventurer and explorer. Could the person [whose / who his] car is blocking the main entrance please move it? Can you remember the name of the actor [which / who] played the main role in that film? The house, [which / that] was in a terrible state, was supposed to be haunted. There is a problem with my laptop [which / where] makes it get stuck sometimes. The student [whose / who her] essay got the highest marks was asked to read it out to the class. I'm training to be an electrician, [that / which] is difficult but very interesting. My aunt, [who / which] has a serious illness, doesn't go out very often. We're visiting New England, [whose / where] my parents were both born. Correct the underlined mistakes. Leave out the relative pronoun where possible. My friends don't really like the films where I watch. My house, that it was the first one to be built, is at the end of the street. My cousin is a director that works on documentary films. I prefer living in the city, that you can always find something to do. In the next village, which accommodation is a lot cheaper, people rely on the local bus to get into town. Will works for a company that it makes parts for computers. The main character, who he was played by Robert Pattinson, was called Edward Cullen. The film who we saw on Friday was the best I've seen. People are always commenting on the clothes where I wear. They usually say nice things but not always! I wanted to learn Greek but my friends persuaded me to learn Italian, that is much easier. Complete the words with the missing words. 1. _______________ had three days to put all the wires and electrical sockets into the new building. 2. The manager asked the ___________ to suggest ways of saving money. 3. A _____________ made our new kitchen cupboards because we didn't like the ones we saw in the shops. 4. The _____________ has done a wonderful job of cutting and shaping the trees. 5. The new _______ _________ attracted a lot of customers by lowering the prices she charged for manicures. 6. The toilets flooded again at school so the __________ had to come and fix them. 7. The ________ ___________ spent hours getting ready for the concert on Saturday night. 8. My parents asked a __________ friend of ours to make a wooden table and chairs for our garden. 9. __________ _________ are specially trained to calm people down if they are afraid of flying. 10. Penny is an amazing _______ _________. I think it helps that she really loves animals. 1. [Stunt doubles / Producers] are used a lot in adventure films so the actors don't risk getting hurt. 2. It is the job of the film [editor / producer] to choose which scenes are included in the final film. 3. [Caterers / Dialogue coaches] fed the film crew and actors because there were so many of them. 4.Members of the crowd were all [make-up artists / extras] in the film. 5. The film [stunt double / director] gave everyone instructions on set. 6. The [cinematographer / extra] called the camera and lighting crews together to tell them his plan. 7. As he was an English actor playing the part of an American, he had to work closely with a [stunt double / dialogue coach]. 8. Alex, the [dialogue coach / gaffer], helped the main character with his accent and speech. 9. The [costume designer / editor] spent three months researching the clothes people used to wear in the 1800s. 10. The [cinematographer / best boy] on a film is sometimes known as the director of photography, or DOP. 1. Old people sometimes need extra [atmosphere / oxygen / gravity] to help them breathe more easily. 2. [Rockets / Space stations / Domes] are used for carrying people and things into space. 3. A huge glass [dome / galaxy / orbit] covered the top of the building. 4. A [galaxy / colony / spacecraft] will be started where people will live on Mars. 5. People have talked for years about setting up a [surface / spacecraft / colony] on the Moon. 6. When you breathe, the body takes [surface/ atmosphere / oxygen] out of the air. 7. The [colony / spacecraft / surface] was in orbit around the Earth, going round about once every 90 minutes. 8. The [galaxy / atmosphere / oxygen] is a layer of gases that surrounds the Earth. Beyond that is space. 9. None of the other planets have an [atmosphere / dome / galaxy] that we can breathe. 10. How long will it take to establish a [base / rocket / orbit] on the Moon? Complete the words with the missing letters. 1._______________ is needed for any living thing to grow. 2. The Earth's_______________is the movement of the Earth around the Sun. 3.When we get to ____________ camp, you will be able to rest for a couple of days. 5.A ________ will be set up so the first people can travel there and settle. 6.When we build__________to go to outer space, we need them to be both light and very strong. 7. Our cars and factories are responsible for damaging the ____________. Click on the links, study and practise!!! Let's read the uses and form of the passive voice ! Have a look at the idioms and their meanings! Look at the pictures and read the definitions of the following extreme sports! Have a look at these collocations!